The National Portrait Gallery, London will stage Michael Jackson: On the Wall,a landmark exhibition exploring how Michael Jackson has inspired some of the leading names in contemporary art. Curated by Dr Nicholas Cullinan, Director of the National Portrait Gallery, London, this major new exhibition spanning several generations of artists across all media will open in the summer of 2018, to coincide with what would have been Michael Jackson’s 60th birthday (on August 29, 2018). Michael Jackson is one of the most influential cultural figures to come out of the 20th century and his legacy continues into the 21st century. His significance is widely acknowledged when it comes to music, music videos, dance, choreography and fashion, but his impact on contemporary art is an untold story; one that has not been recognised with an international loan exhibition such as this. Almost a decade after his death, Jackson’s legacy is as strong as ever: his record sales, now in excess of one billion, continue to grow; his short films are still watched; and his enormous fan base remains loyal. His impact and fame show no signs of diminishing and the questions raised by him as a social phenomenon are still relevant. 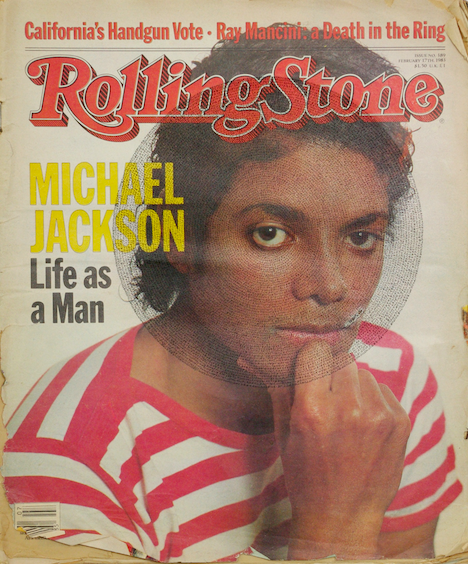 In addition to breaking records for the most albums sold, awards won, philanthropic achievements and cultural barriers overturned, Michael Jackson has become the most depicted cultural figure in visual art by an extraordinary array of leading contemporary artists since Andy Warhol first used his image in 1982. For the first time, Michael Jackson: On the Wall will bring together the works of over 40 of these artists, drawn from public and private collections around the world, including new works made especially for the exhibition. Artists featured include: Rita Ackerman, Dara Birnbaum, Candice Breitz, Marvin Gaye Chetwynd, Njideka Akunyili Crosby, Mark Flood, Isa Genzken, Maggi Hambling, David Hammons, Lyle Ashton Harris, Jonathan Horowitz, Gary Hume, Rashid Johnson, Isaac Julien, David LaChapelle, Louise Lawler, Klara Liden, Glenn Ligon, Paul McCarthy, Rodney McMillian, Dawn Mellor, Lorraine O'Grady, Catherine Opie, Yan Pei Ming, Grayson Perry, Paul Pfeiffer, Faith Ringgold, Donald Urquhart, Kehinde Wiley, Hank Willis Thomas, Andy Warhol and Jordan Wolfson, among many others. The exhibition will not only ask why so many contemporary artists have been drawn to Jackson as a subject, but also why he continues to loom so large in our collective cultural imagination. It will explore the impact and influence of Jackson on contemporary artists and the continued interest in him as a major cultural figure. ‘Michael Jackson’ by Andy Warhol (1984). From the Smithsonian Institution. ‘Equestrian Portrait of King Phillip II (Michael Jackson)’ (2010) by Keyhinde Wiley. From the Olbricht Collection. ‘Michael Jackson Rolling Stone (Black)’ by Graham Dolphin (2017). Courtesy of the artist. ‘Wind (Michael/David)’ by Isa Genzken (2009). From the Hessel Museum of Art. The selection embraces works by some of the most important contemporary artists working today, but also includes emerging artists. This innovative exhibition will be accompanied by a scholarly publication with essays by Nicholas Cullinan, Margo Jefferson and Zadie Smith. Michael Jackson: On the Wall is curated by Dr Nicholas Cullinan, Director, National Portrait Gallery, London, together with Lucy Dahlsen, Associate Curator. Nicholas Cullinan took up his position as the Director of the National Portrait Gallery in spring 2015 following his role as Curator of Modern and Contemporary Art at The Metropolitan Museum of Art in New York. Prior to this, from 2007 to 2013, Nicholas was Curator of International Modern Art at Tate Modern where he co-curated an exhibition of Henri Matisse’s cut-outs with Sir Nicholas Serota in 2014.